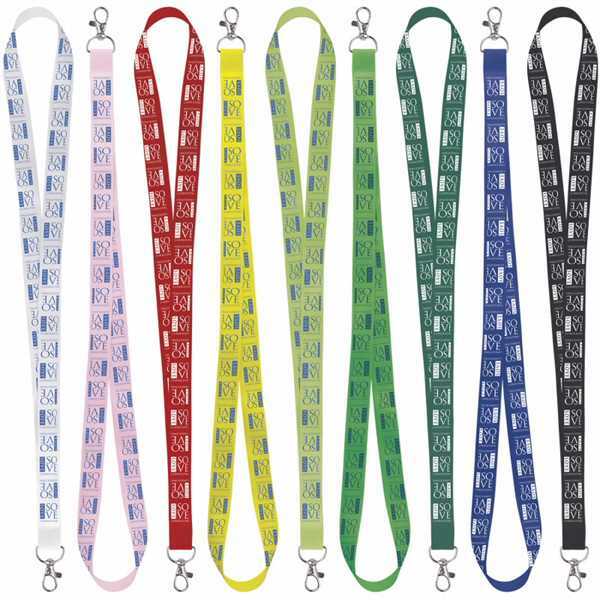 3/4" Satin Screen Print Lanyard. Lanyards will ship with split ring accessory unless otherwise specified. Custom structure is upon request. Light and smooth surface. Size: 19 5/8 " x 3/4 "